This will probably end my writing on the immigrant Jacob Pfauw – Faw family. At present, I think my new leads and associations are run out, until I may have the time and proximity to the hints of other records, land records on microfilm at Richmond and Raleigh might yield a few new insights. A couple basic items remain unsolved, the land plat at Winchester, the identity of father Jacob I or Jacob II in land records in NC. The unresolved locations and family alluded to in Jacob’s letter back home. Bits of info locked in a 1940’s typescript about the family and the church history I have not seen. Overall this story of a family has impressed upon me how it is a story of a whole interrelated community of interests and mutual support, one that transplanted associations from Europe across the Atlantic that remained strong through travels both south and west in America. They seem tied to religion, one that is both familiar, and in the following case became almost as unfamiliar and restricted as the modern Amish are to most of us. In North Carolina, the Old Order Brethren clan took hold and split from the Fraternity Church of the Brethren. They wore plain black dress and full beards, worked the land to survive and worshipped in the homes of sect members. The trine immersion baptism that led to their flight from home remained at Muddy Creek near Wachovia. They did not swear or make oaths, thus they affirmed loyalty instead, and they did not stand with slavery generally. They followed one another across the continent, building church communities along the way that remain today. It is also important to understand how the land became central to freedom, to sustenance of body and soul, and how its availability and ownership empowerment supported the loyalty of the ideals of the Revolution. It is an idea we as a people may be losing, may have already lost, seemingly outdated. In South America, admirers of our Revolution followed our path, except for land ownership, and it has left failure and impoverishment for many. It is worth consideration before it is all gone, for it may still be critical to the spirit inbred in American freedom. Depression families depended on it. Taxes and ability to use it have stripped it away from many. Our lives lean electronic rather than dirt based. We move about farther and faster today than even the early generations of Faw families. And they also had the options to dump one place for another without apparent qualms. But it always came back to gaining land and its use. Today it may remain critical to sustainability and local provision of food, to heritage and culture, but it hangs in the balance. So I want to round out with the Faw line that moved to the Winston-Salem area of North Carolina and provided the ministry to allow the Brethren Church there to endure down to present times. Many of the Faw family and friends moved westward from Ashe and Forsyth Counties and carried the Church of the Brethren along with them into the American West, first Illinois and then Washington state and California. And I want to surmise a bit about the final resting place of Jacob Pfauw, immigrant ancestor. The answer to that mystery can only be fairly well assumed, it is not clearly documented, as it has not been passed along orally, or remembered anymore. 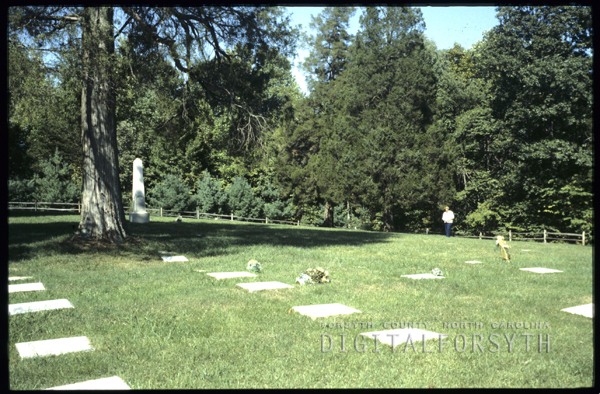 When the two Faw descendant sisters Amy and Linda researched the family in the 1950’s, they travelled through the NC Faw family areas, and first at Ashe County’s Calloway Cemetery, wrote they were told by Clate McNeil, who kept the cemetery, that Jacob Pfauw was buried there. And there was no better source of information than Clate, whom I knew as a child, but it could only be true if our pioneer Jacob had decided to follow his son, Jacob Faw II to Ashe right before he died about 1790. A letter to them from Christian Robertson also claimed it was the resting place. It can no longer be confirmed locally. But the 1789 land, fifty acres along Buffalo Creek, is not here at the Jacob II place, and it may have been the elder Jacob I who bought that parcel in Ashe. The Faw line in then Forsyth County came within a generation of the pioneer communal community of Bethabara, meaning the “house of the ford”, or place where John was baptized in the Jordan River; and in fact, it appears that descendants of its earlier processions landed there, though the Faw name was removed by marriages, and the immigrant lines were far enough removed to be unknown to one another. The relationship is not entirely clear, and one of the subjects of further research by the right person in Switzerland. In God’s Acre at Bethabara and sister village Bethania, lie a number of Schor and Kapp family, whom appear to be descended from the Anna Pfau line. Anna married Hans Schneider in Muttenz, Switzerland, and her daughter Margareth Schneider married Friedrich Schorr, son of Friedrich Schor and Ursula Tschudi. They are a generation and a death and a family name removed from our Faw family. So their descendants lived about eight miles apart with no recognition of any possible relationship. Tschudi brothers came over with the Pfauws and appear occasionally alongside them. 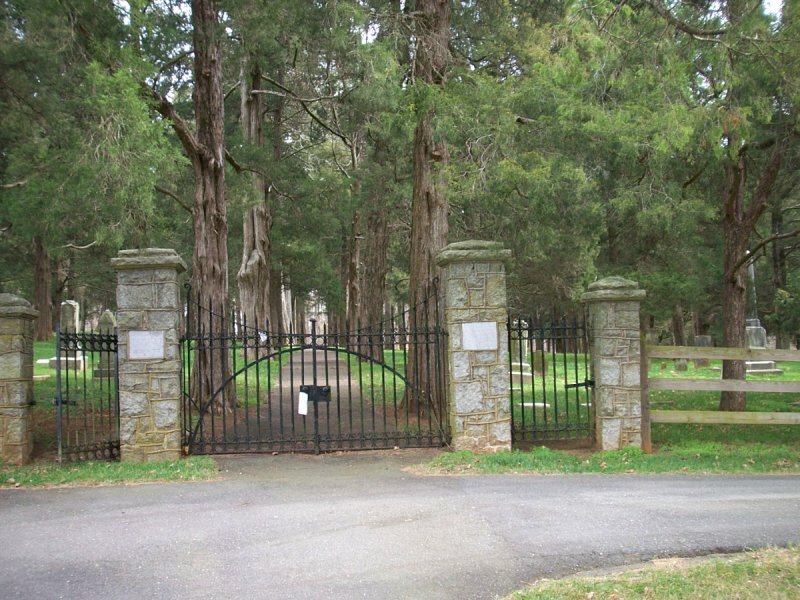 The Tschudi and Schor families are at the Brethren community at New River, VA and leave after the Indian massacre in 1756, the Schor’s coming to Bethabara for safety. 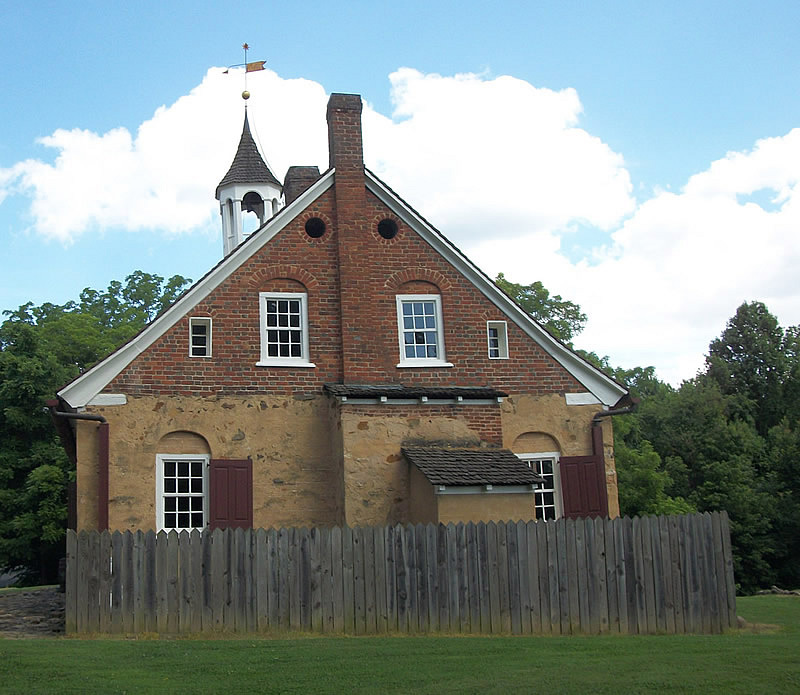 The Heinrich Schorr family is at Bethabara to meet Reverend Sprangenberg at Wachovia in 1760, and the first child born in Bethania is Johannes Schor. The Bethabara Church is a beautiful structure, well worth visiting, with two foot thick rock walls and a glazed tile stove. The pump organ is original, built near Lancaster, PA. The first twelve to arrive here found an abandoned log cabin, and listened to wolves howl at night as they prayed and took communion. The village was fortified with a stockade, and followed a German village system of common woods and pasture alongside private fields and tools. Their doctrine was initially one of self-separation from civil society, self-sufficiency and non-competition between members. The town of Salem was building and growing, with its Moravian community, and it welcomed the new outlying farm communities as suppliers of grains and foodstuffs. The three forks of the Yadkin River, and the three branches of Muddy Creek, were its geographic centers. Following in the footsteps of Dunker leader Jehu Burkhart, the Faw’s came to Hope (est. 1776), near Clemmons, NC. The Friedberg, Hope, and Friedland tracts are situated around southern Wachovia, with the Bethabara and Bethania villages north of Old Salem. 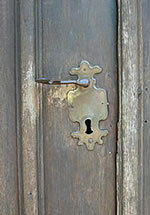 Old Salem door lock, the famous tin Teapot from the Main Street, and the Tailor shop window. There along Muddy Creek, Jacob Pfauw, in 1778, now documented in written records as the Anglized name of Faw, took up a farm alongside the farm of old family friends Lienert Hyre and family. The Jacob Faw home was built along the ridgeline over the rich bottom lands of two hundred acres at first, but added upon a couple times. Here the Brethren families found domestic coexistence and shared spiritual existence in their two homes, along with other Brethren families who followed. The Faw family was also close to the Jehu Burkhart family, the leader of the local Dunkers, whom numbered no more than two dozen persons. Jehu Burkhart moved to Forsyth County from Frederick County, MD in 1775. Faw’s son, Issac, married Burkhart’s daughter, Magdalena in 1791, both are eighteen. It is important to recall what these Dunker’s believed and their lifestyle, for they are very different than us today, and even different than many of their similarly pious brethren. 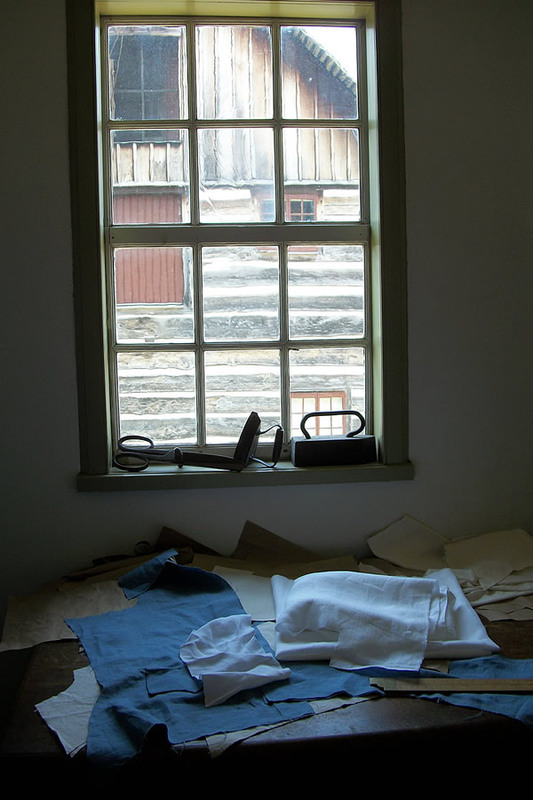 Plan dress, black – much like the Amish, and they called themselves ‘plain people’. The Faw “Old Order” Brethren split off from the members who wish to worship in a livelier tradition, with music, send missionaries, etc……our Faw Brethren thought the evangelicalism was ‘too worldly’ a religious practice. Yet, they coexisted in a symbiotic relationship to share a church building for nearly twenty years, and were only separated by a mile once the progressive clan needed more space for members and Sunday School and built a new church. These Brethren elicited interest from their Moravian neighbors, and occasionally attended one another’s services. 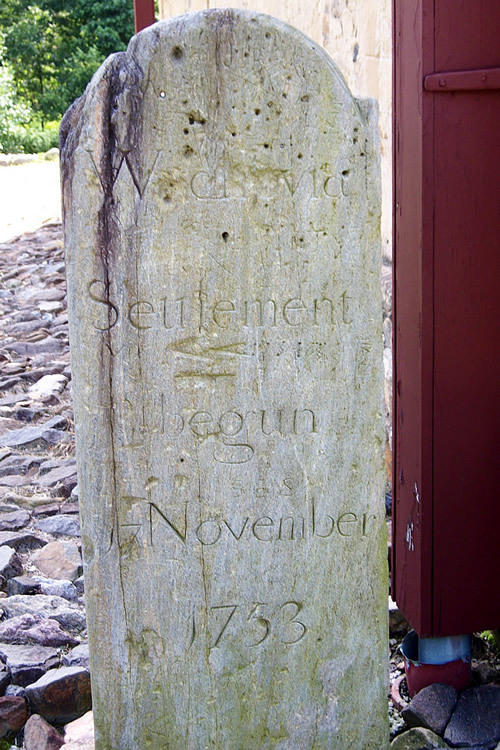 A controversy ensued however, when a Moravian Brother wanted to marry a Brethren daughter. It was tolerated, but reported later that the Dunkers appeared to have pulled their convictions away, but not surprising given the power of proximity and family ties. 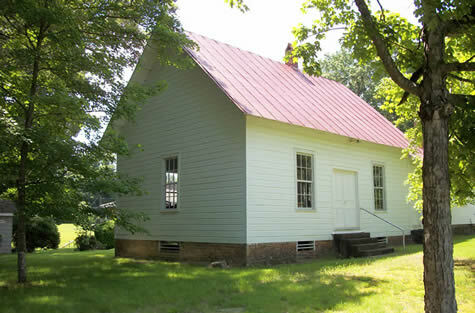 My search began at present day Fraternity Church of the Brethren near Clemmons, a descendant of the Faw Church. In the 1980’s I was warmly welcomed there by a number of Faw descendant families and the church was celebrating two hundred years of community service. It seemed that every house along the two miles of road was a family who were Faw related! They told me how to drive down to the old Faw home place along Muddy Creek and encouraged me to go and visit, although it was private property. The Faw graves were there. Before I left them at their church dinner, they showed me a book in their library, by Roger Sappington, “The Brethren in the Carolinas” and I tried to scribble out notes from it on the Jacob Faw family. There was not enough time to do so thoroughly. Dr. Roger Sappington: Pastor at Pleasant View Church (Brethren) in Lima, Ohio for four years and Bridgewater College professor for thirty years. He was the author of many books and articles on Brethren history and life. From his obituary in the Daily Record-News, Harrisonburg, Va., March 21, 1989 he was an Eagle Scout, as an adult he received the Silver Beaver Award. It took me many years to find that book again as it was long out of print, not many copies available, or sold at exorbitant prices, but recently, the Brethren Special Collections at Bridgewater College assisted me in obtaining it. Finally, I can complete the last piece of knowledge of our North Carolina Faw family. Much of the following is adapted from the Sappington book and portions of the Faw Family Record, collected in various volumes over the years. 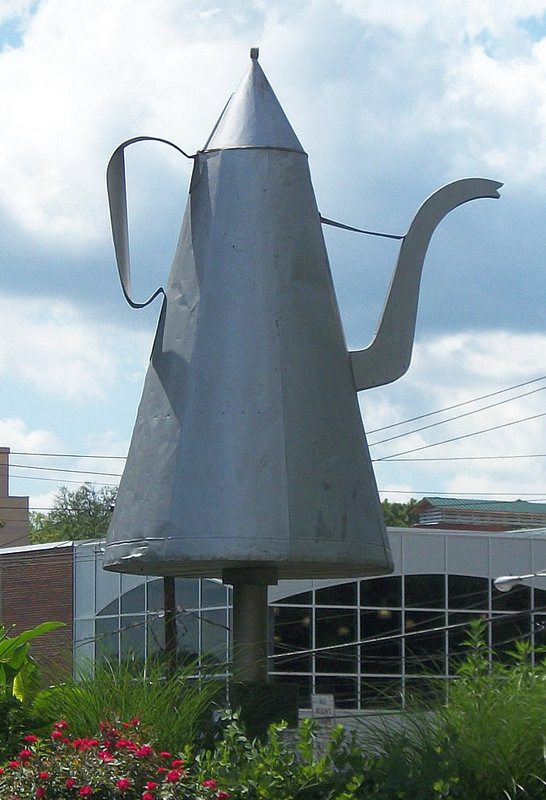 Faw is noted by the Wachovia diarist, known at the market for his honesty, selling produce, and tipping the scale a bit over every pound, so as not to cheat anyone. And it is reported that one night two men snuck onto the Faw place and raided the smokehouse. As one man inside handed out hams, Jacob tapped the second man outside on the shoulder and shushed him, then took his position. The man inside handed out a ham and asked, “Should we leave any for the old man?” He blanched, seeing Faw himself at arm’s length. Caught, Faw lectured them and made them pledge to never steal again, then gave each some meat and sent them on their way, having learned a lesson, or two. It was Jacob I’s son, Issac Faw, and then Issac’s son Jacob, who took up the ministry of the Brethren Church after Burkhart left to move west in 1810. Issac was thirty-seven and spent twenty-five years “laboring through prayers and tears in adverse circumstances”. Issac died in 1835. Jacob Faw, son of Issac, married Sarah Martin in 1835, his father marked the marriage bond with an “X”, as he did his land documents, meaning the elaborate script and education of Jacob I had been diminished in the family. In a way this was symbolic of a people who did not value higher education, but also perhaps a circumstance of the family location, older brother Abraham had found schooling in Va., or perhaps it was disposition and occupational. The Muddy Creek Brethren continued a decade before Jacob determined to begin his Christian journey. He wrote a letter to Brother Bowman, Rocky Mt, Va. - Franklin County, and rode horseback a hundred miles to be baptized. Arriving on a Friday, he spent the next day in discussions with the minister and Sunday was baptized. The two areas began trading ministers between them. 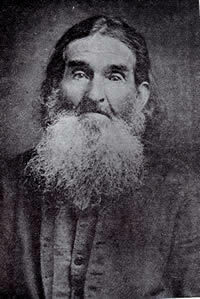 Jacob led the congregation at Muddy Creek for a total of forty-two years. In an 1853 letter to the Hyer family in Ohio, he said "Our church here is not increasing, but we still endeavor to be faithful in all things." Jacob was forty-two years old – and said that he was "weakly constitution and cannot hold out to labor as I used to…" – yet he lived another thirty-four years. He had been thinking about "going to a free state where the Brethren are more prosperous" but said it "don't seem like I can leave this country as long as there is any church here." 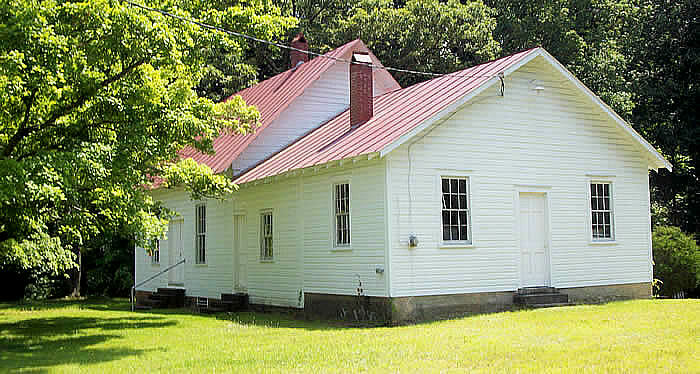 1860 the Brethren at Muddy Creek build a one room structure at the edge of the two properties of Jacob Faw and Edwin Hanes. Inside were the Bible on a podium and simple pegged wooden pews. 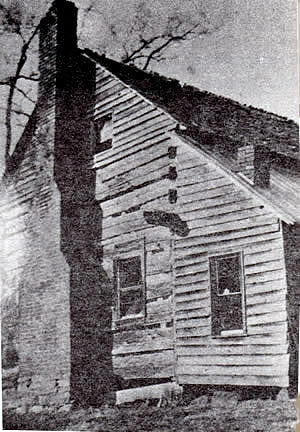 The building was later covered with clapboards, and a second room added. Here the symbiotic relationship between the families is commemorated. In 1861 the church census was only sixty-seven members. Faw Church from rear or the original sanctuary side. In 1885 the Old Order Brethren split off, about a third of the church, or twenty-two members, wishing to maintain the simple dress and lifestyle, from the Fraternity congregation. Whatever contention this may have involved, the family ties remain strong and they share the church building. In 1900 Fraternity builds its first new building at its present site. Jacob, son of Issac, died in 1887. His burial is in the Fraternity Church graveyard. And last, but not least, something that would seem to be vitally important to the Faw family descendants, the location of the grave of our immigrant, Jacob Pfauw. 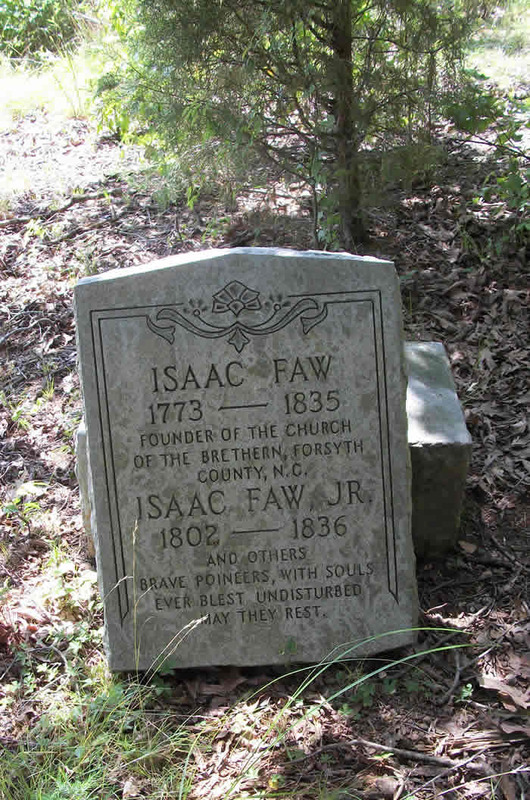 In Linda and Amy Faw’s travel ‘diary’, a week or two after visiting Ashe County and hearing that Jacob was buried there, we find them at Muddy Creek, at the Memorial stone for Issac Faw, and Issac Faw, Jr. 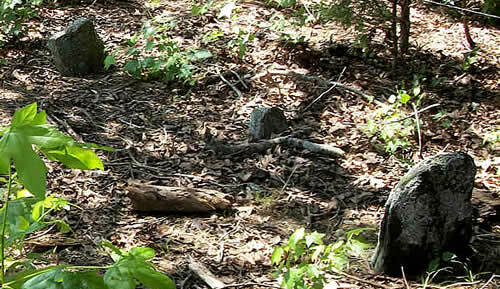 Nearby are a half dozen field stone markers, none with any discernible markings. This is the family cemetery. In fact, pairs of the stones may mark the head and foot stones since we don’t have a record of other certain deaths laid here. It is known in the area, but in a private location. The old Jacob Faw home was right here, and the Jacob home was just over on the next ridge. 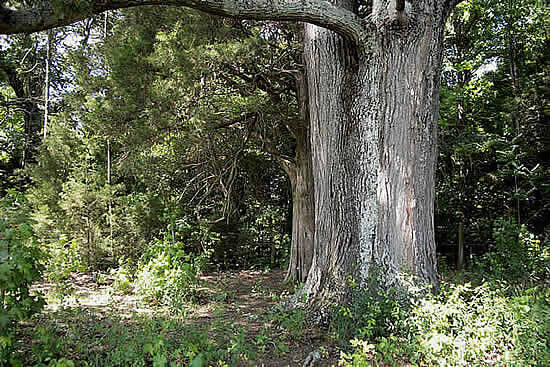 Great trees mark the Faw gravesites location.